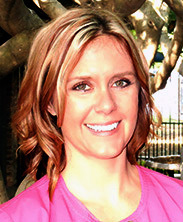 Iva has more than 13 years of experience within dentistry. As a people person, she loves being with our patients and getting to know them. In her role as a dental hygienist, she helps patients create and maintain healthy smiles through regular cleanings and education. She previously studied at both NCTC and TWU. Iva is married and has a son, a daughter, a dog, and two cats. When she’s not helping patients, she loves exercising, gardening, volunteering in the community, and being outdoors with her family. I was homeschooled during high school. Preserve what nature has given you as long as possible, but use the best technology when that fails.